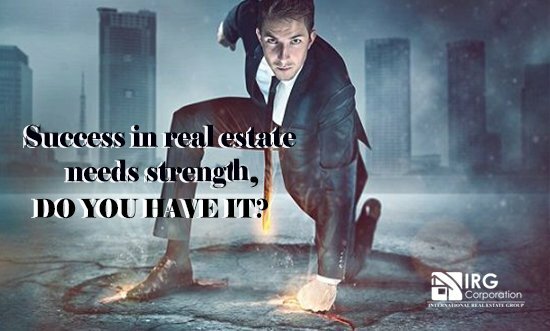 You can take several examples within the real estate to talk about the success that can be had within this market and all have certain points in common that can be easily used as the line that must be followed to reach those places where only those who work a little more than the rest arrive.No job is simple, each one has certain aspects that make them complicated, but, we can not deny that if you know about certain subjects and you instruct in others that are capable of complementing you, you can have a base stable enough to begin to climb positions .There is always talk of perseverance, dedication, ability to take risks, dedication and not for nothing, these are the points in common that have the most successful entrepreneurs in the market. Through these attitudes together with the knowledge acquired and the connections you can establish you can come very close to your final goal.You have to be aware that many times it does not depend only on this and what you should do a deep study every so often of the market, of comparables, of new strategies, of tools and ways of working that, if you are wise, you will add to your repertoire to increase your chances of success that you are looking for with so much effort. A lot of the strength that is needed to get to the top is going to get the defeats, the mistakes, the bad seasons, the business that did not happen, the customers that made your life impossible, because, the necessary attitude to achieve the objectives set is in the desire to put your work and the delivery with which you do everything you propose. “Success is not achieved only with special qualities. It is above all a work of constancy, method and organization “. The 5 golden rules for Real Estate .